Joining Spredfast at an early-stage allowed me to take on a lot of responsibility and make a real impact on the product. Since my time there the company has grown to over 500 people (from around seventy-five) and raised more than $100 million dollars. I'm a strong believer in the power of the internet and social media to not only connect people across different geographies but to also amplify voices and make their messages heard. When I was given the opportunity to help establish and grow a mature product design discipline, I couldn't say no. 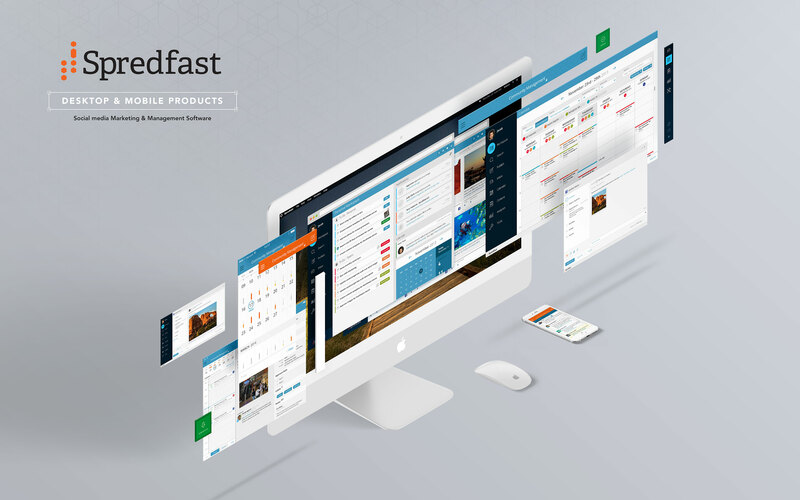 Spredfast is a social media marketing & management company that helps high profile customers like Whole Foods, Target and REI manage their social conversations and strategic brand messages across their teams and social media properties. I'm a strong believer in the power of the internet and social media to not only connect people across different geographies but to also amplify voices and make their messages heard. When I was given the opportunity to establish and grow a mature product design discipline I couldn't say no. 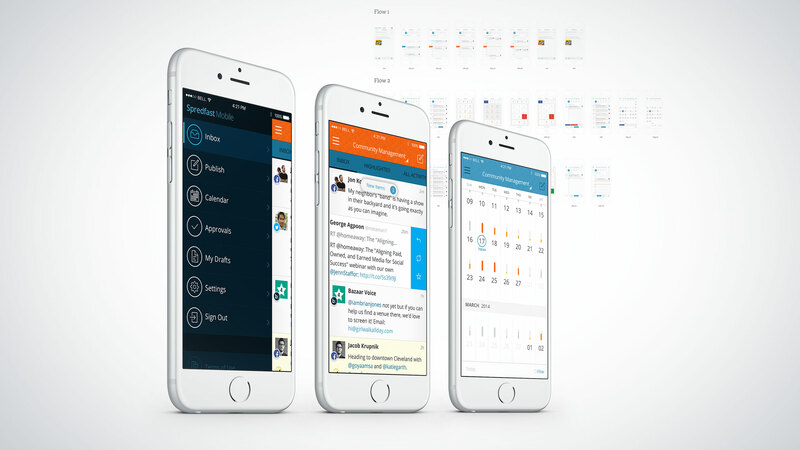 Spearheading the design of a mobile app (iPhone, Android, iPad). 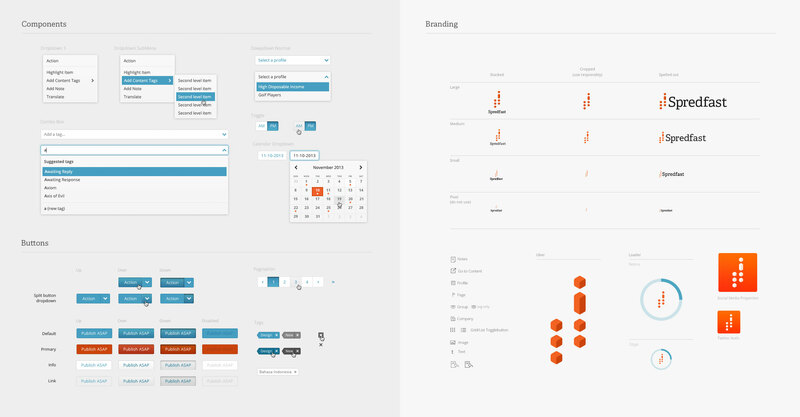 Establishing an extensive visual design language system, worked collaboratively to extended the features and functionalities of the product suite. Advising and working collaboratively to launch a new brand identity with the very talented Amanda Donaldson. 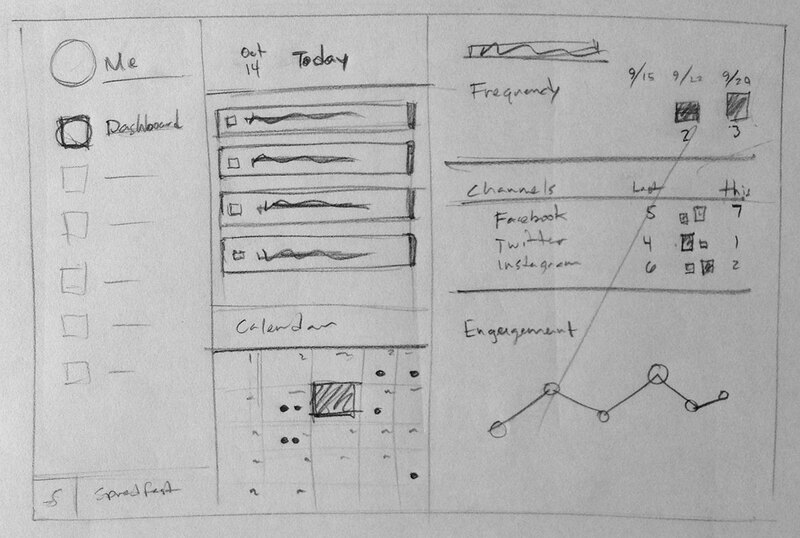 Researching user behavior by leveraging contextual inqury and data collected by product managers. 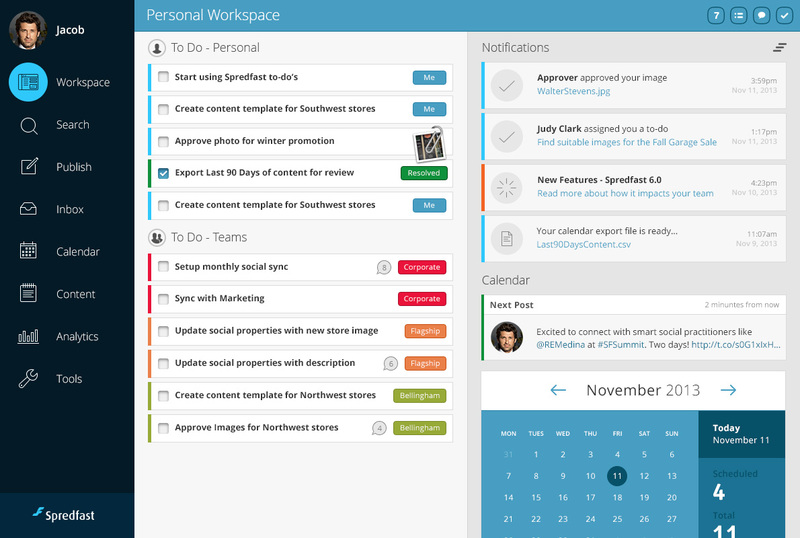 Responding to customer feedback to streamline prodcut features and functionality. The main goal of the mobile product was to distill the features and functionality of the web app to not only take advantage of the mobile form factor but to also give community managers the ability to manage their social media properties on-the-go. 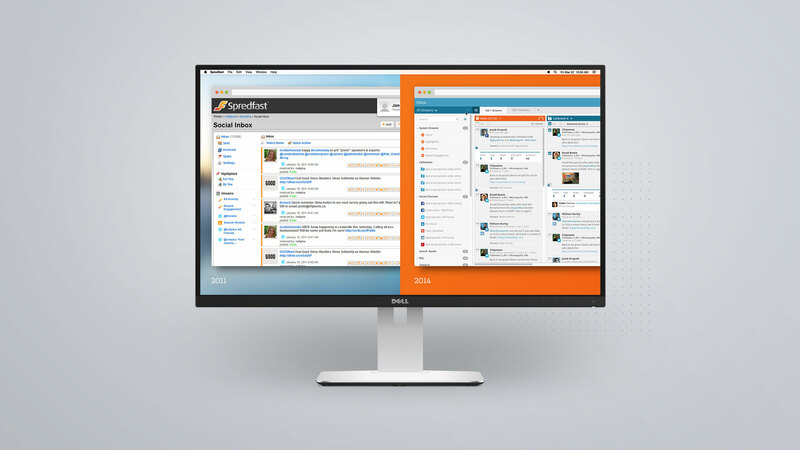 My early work with Spredfast was to establish a new visual design language to create a more coherent experience. Additionally, my job was to identify opportunities to unify the user experience and improve usability by correcting the interaction paradigms and affordances that had become overly complex and inconsistent. This continued throughout as our team established a new vision. 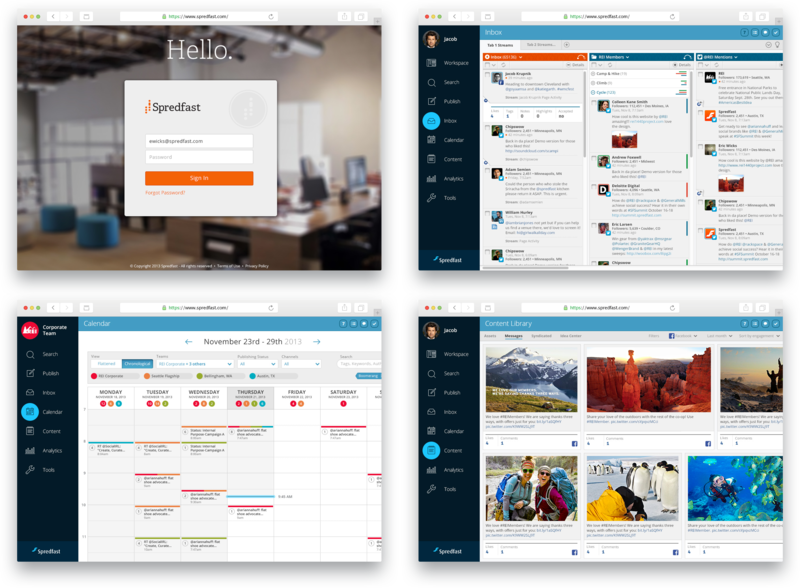 The first major engagement I had with Spredfast was to establish a new visual design language to create a more coherent experience. Additionally, my job was to identify opportunities to unify the user experience and improve usability by correcting the interaction paradigms and affordances that had become overly complex and inconsistent. I created a set of visually consistent components that were extended and implemented by our team across the entire spredfast platform. We created a set of visually consistent components that were extended and implemented by our team across the entire spredfast platform. The design effort culminated in a set of components that were carefully implemented across the entire platform.